Apple on Tuesday announced major updates to the Retina MacBook Pro, adding new processors, PCIe-based storage, and Thunderbolt 2. 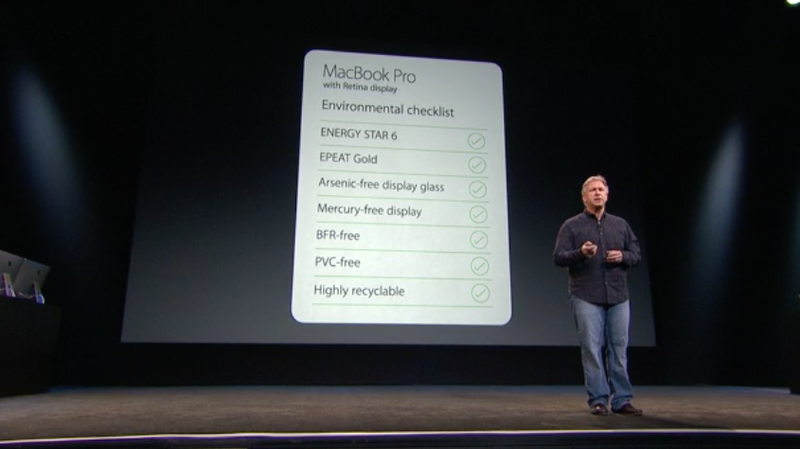 Apple offers five standard configurations of the new laptop. The new $1299 13-inch Retina MacBook has a 2.4GHz dual-core Core i5 processor (Turbo Boost up to 2.9GHz), 4GB of 1600MHz memory, Intel’s integrated Iris Graphics, and 128GB of flash storage connected via PCIe. According to Apple, the new 13-inch Retina MacBook Pro weighs 3.46 pounds, 0.11 pound less than the previous 13-inch model. The new 13-inch model is also 0.71 inch thin, 0.04 inch thinner than its predecessor. Apple claims eight hours of battery life. That $1299 price tag is a $200 drop from what Apple used to charge for its entry-level MacBook Pro. Apple offers two other 13-inch standard configurations. The $1499 model has the same processor as the $1299 model, but carries 8GB of RAM and 256GB of flash storage. The $1799 model has a 2.6GHz dual-core Core i5 processor (Turbo Boost up to 3.1GHz), 8GB of RAM, and 512GB of flash storage. The $1999 15-inch Retina MacBook Pro—also sporting a $200 price cut from its predecessor—has a 2.0GHz quad-core Core i7 processor, 8GB of RAM, Iris Pro integrated graphics technology, and a 256GB solid-state drive. Apple says the 15-inch model provides nine hours of battery life. The $2599 15-inch Retina MacBook Pro has a 2.3GHz quad-core Core i7 processor (Turbo Boost up to 3.5GHz), 16GB of RAM, 512GB of flash storage, integrated Intel Iris Pro Graphics, and a discrete 2GB Nvidia GeForce GT 750M graphics processor. All of the new Retina MacBook Pro models feature Thunderbolt 2 connectivity (two ports), two USB 3.0 ports, Bluetooth 4.0, and 802.11ac wireless networking; they’ll run on Apple’s newly released OS X Mavericks operating system. The new Retina MacBook Pro offerings are now available from Apple. Editor's note: Updated at 11:30 a.m. PT to correct the number of standard-configuration models offered by Apple and to add more product details.